Dr. Authur Zacco founded AZ Hair Restoration in 1996 and has been dedicated to providing his clients the very best leading-edge technologies. • AZ Hair Restoration stays at the forefront of the latest proven and beneficial advancements in hair transplantation. We don’t limit ourselves with one technique. We employ several hair transplanting techniques, alone or in combination to provide you with the best possible hair transplantation process available. We do NOT rely on gimmicks, we rely on our results. We will be open and honest with you when choosing the process that is best for you. • AZ Hair Restoration combines the best artistic and surgical skills to create a hair transplantation that is virtually undetectable. Where art meets science. • Hair plugs have never been performed by Dr. Zacco or AZ Hair Restoration since it was founded in 1996. The hair transplantation that we perform will be virtually undetectable. • It would be almost impossible to find another hair transplantation facility that focuses on cleanliness and sterility as does AZ Hair Restoration. We care for you like you are family. 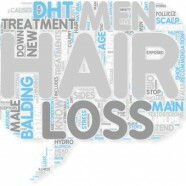 AZ Hair Restoration will help restore your youthful appearance and confidence.